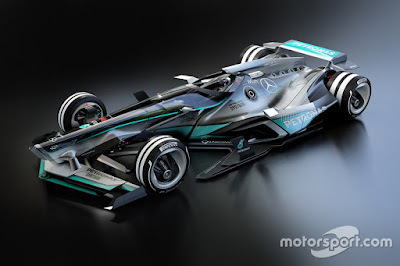 Again, the desig of Formula 1 racing car will evolve at next racing season. Its size widened, and uses larger tires, as well as downforce increased better than the current model's. The realization of the F1 racing car was quite different though still can be recognizable as a F1 racing participant. 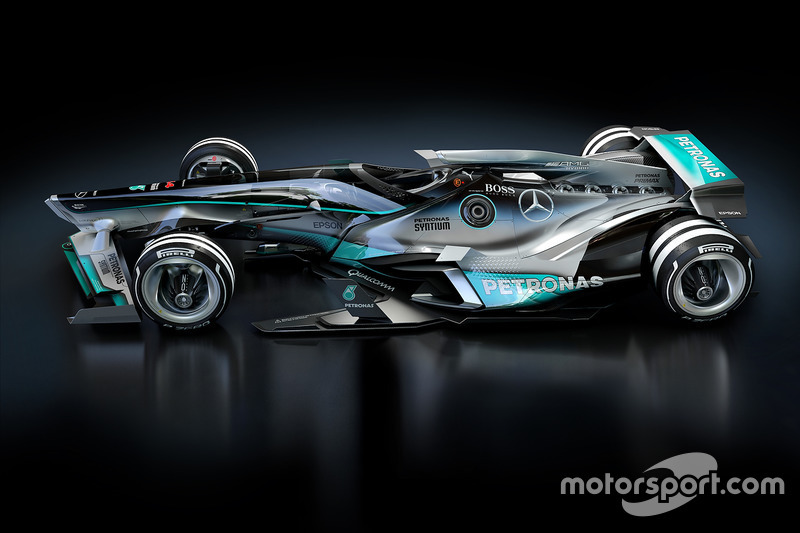 So, like what the form of the F1 racing car in the future? 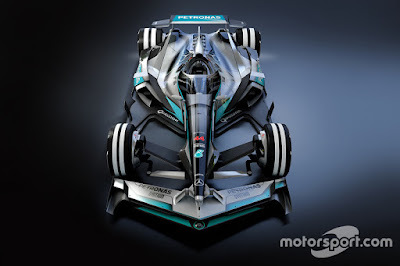 Here's Motorsport site try to guess a radical design F1 racing car about 15 years into the future. 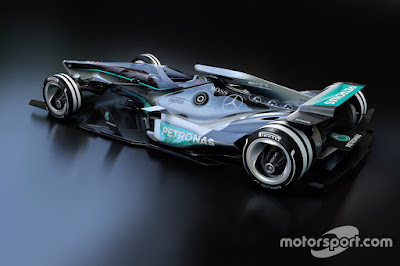 And the Mercedes AMG F1 team's car was taken as an example of change. In the design of future's F1 racing car, the nose of the car formed a sloping line to the visor and covered most of the driver's cabin. The driver's cockpit position is also quite low at which point the top of the cabin is almost parallel to the top of the front wheels. Claimed the racer could see into the side though attached canopy due to its design was high and blend up to the middle panel. The most obvious change is the design which has a rigid angle with additional transverse fin blade to split the wind. 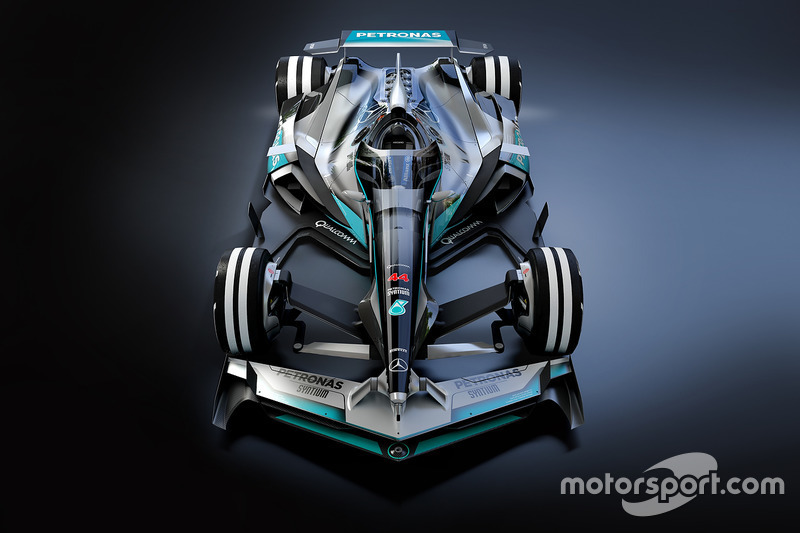 Meanwhile, the front wing changed design with V-shaped design with a cross section curved downward. Other changes are in the engine cover at the same time is the middle fin made increasingly slim. At this time custom image, the side body panels widened to cover the front of the rear wheels as fender.